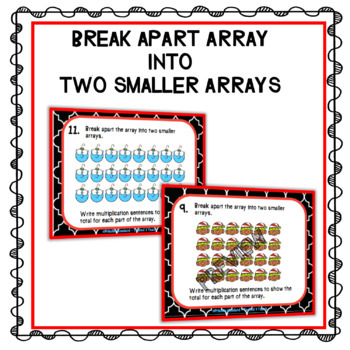 Distributive Property of Multiplication Task Cards will be used to break apart factors in order to make a multiplication problem easier to solve for your scholars. Your scholars will use models to break apart a factor into lesser numbers. Models will include pictures of equal groups and arrays. Your scholars will use multiplication facts they know to help them solve more difficult multiplication problems. 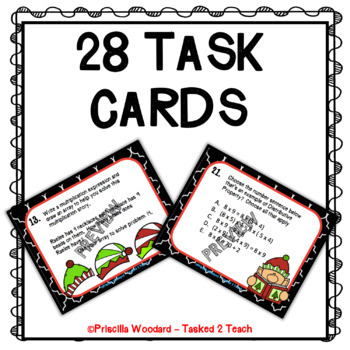 You will enjoy the ease of the low prep practice pages while your scholars enjoy & explore the task cards. 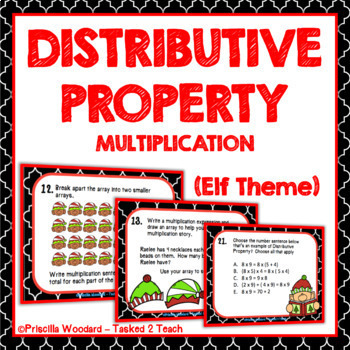 Take a peek at the preview to see what’s included in this Distributive Property of Multiplication product. Download the preview for a closer look. I truly value your feedback. Earn each time you provide feedback!! TPT gives you TPT credit you can use toward lowering the cost of other products. I would love to send you notifications of sales, new product launches, and freebies. Click on the GREEN star next to my logo, to follow me. New products are always 50% off for the 1st 24 hours they are posted. It pays to follow me! !